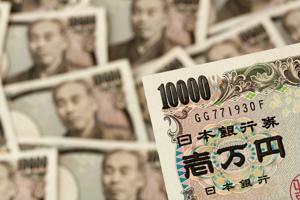 The issue of inflation continues to bedevil the economic leaders of Japan. For much of the past several years, the country's national bank has stuck rigidly to a gradual policy of quantitative easing, with the ultimate goal of reaching 2 per cent inflation representing a key benchmark for Bank of Japan governor Haruhiko Kuroda. According to Bloomberg, most of Kuroda's peers on the BOJ's board have supported the goal with complete commitment since he first announced it in 2013, in line with Prime Minister Shinzo Abe's broader priorities of Japanese economic regeneration. However, the six years elapsed in the wake of Kuroda establishing that 2 per cent goal have seen some waning of belief in its validity. Reuters reported that a March 20 meeting of the BOJ's board resulted in one of its nine members strongly disagreeing with the continuation of current policy. Per meeting minutes obtained by the news provider, the dissenting member - who was not named - urged more immediate easing due to risks such as the U.S.-China trade war that notably affect Japan's economic strength. "Given the timing of achieving the price target had been delayed, it was undesirable to adopt a stance of not taking action until a serious crisis occurred," the member said. Belief in Kuroda's policies of incremental quantitative easing and fear of provoking wild swings of economic instability among the board's other members ultimately prevailed over the dissenter's objections: The BOJ voted to guide short-term rates at -1 per cent and 10-year bond yields at around zero, exemplifying the yield curve control strategy. In a nutshell, this means that Japan's monetary settings will remain unchanged for the foreseeable future. Nevertheless, relatively small disagreements like this at the highest levels of Japan's economic leadership could be a sign of greater objections to come.